W e are happy to welcome Mary Bandy to our team! 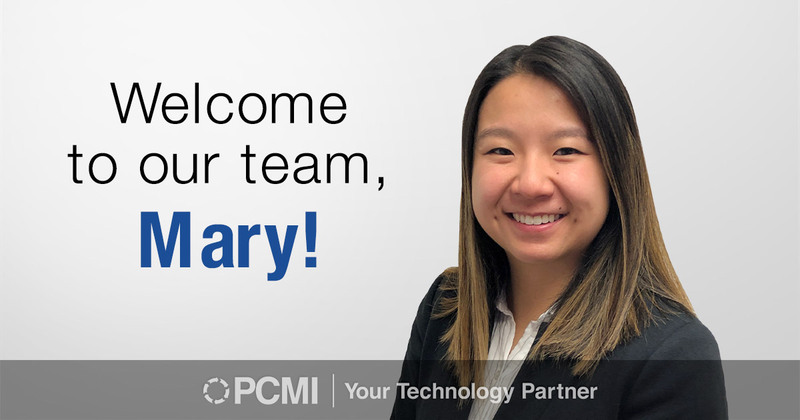 Mary will be working in our Chicago office as a Marketing Associate, where she will be assisting the marketing and HR team with creating content for our website, building our brand, and promoting the company’s image. While at PCMI, she is looking forward to participating in developing marketing strategies and strengthening her business writing skills. The opportunity to gain work experience in a corporate setting is also something she is excited about. Mary attended Radford University in Virginia where she graduated with a degree in English. She chose to study this major because she has always loved books, reading, and writing. Mary began her writing career at Radford, where she worked as an editor of the online magazine “Whim.” For one of the magazine’s projects, she interviewed many different students on campus about their opinions on various topics and documented their stories and responses. Some things that motivate Mary are other peoples’ stories and the desire to succeed. In her free time, Mary enjoys reading, hanging out with friends, going new places, and trying new things. She also enjoys hiking and spending time in nature. Her interest in the outdoors was influenced by growing up in a beautiful area with many mountains and trails. An interesting fact about Mary is that she has been to the Olympics!